Properties in Gmina Bukowina Tatrzańska average 4.3 out of 5 stars. Regional-style apartment 89 qm with amazing views on Tatra mountains. Property 1: Regional-style apartment 89 qm with amazing views on Tatra mountains. 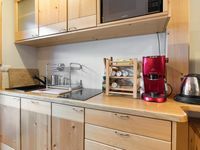 receive Pleasant cottage in High Tatras (Slovakia) for smart price !!! 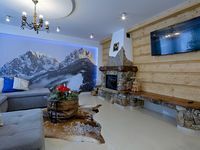 Property 18: receive Pleasant cottage in High Tatras (Slovakia) for smart price !!! It's a comfortable new place in a cute village in the foothills of the Polish Tatra mountains, close to Zakopane (~10km) and not far from Krakow (~90km). Many thermal spas are also in the region. The room was large and cosy and the breakfast was tasty and generous every morning. Too bad that the staff, except for one person, didn't speak English.